Published January 2014. Revised January 2014. 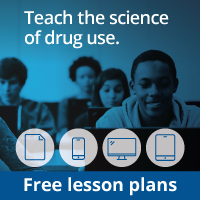 Presents research-based principles of adolescent substance use disorder treatment; covers treatment for a variety of drugs including, illicit and prescription drugs, alcohol, and tobacco; presents settings and evidence-based approaches unique to treating adolescents. Published July 2001. Revised December 2018. Published July 2001. Revised February 2018. Published July 1998. Revised January 2018.